Zach and I had a brief interview with regards to our work and the BEAM bots in the spring issue of Amusement. 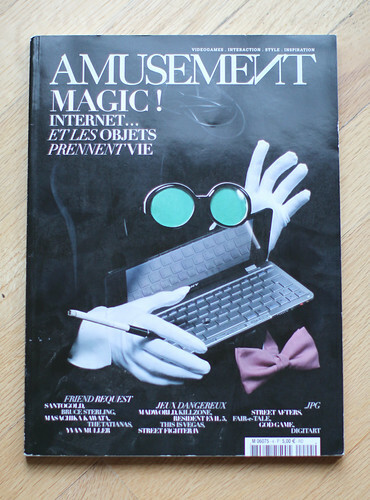 A French publication, Amusement is a gaming and technology mag with the styling of a fashion publication. Tagged BEAM, Robots. Bookmark the permalink.